I am a New York based artist working within the spectrum of painting, sculpture, and installation. Conceptually my work deconstructs and subverts the conventions of male-centric art. I integrate my perspective and experience as a female artist through a mixture of domestic craft and art historical references. By reimagining traditional painting constructs, I challenge notions of linear perspective, space, dimensionality, and abstraction. Through manipulations of material and space, I create minimalistic artwork that exists simultaneously as painting, sculpture, and installation. 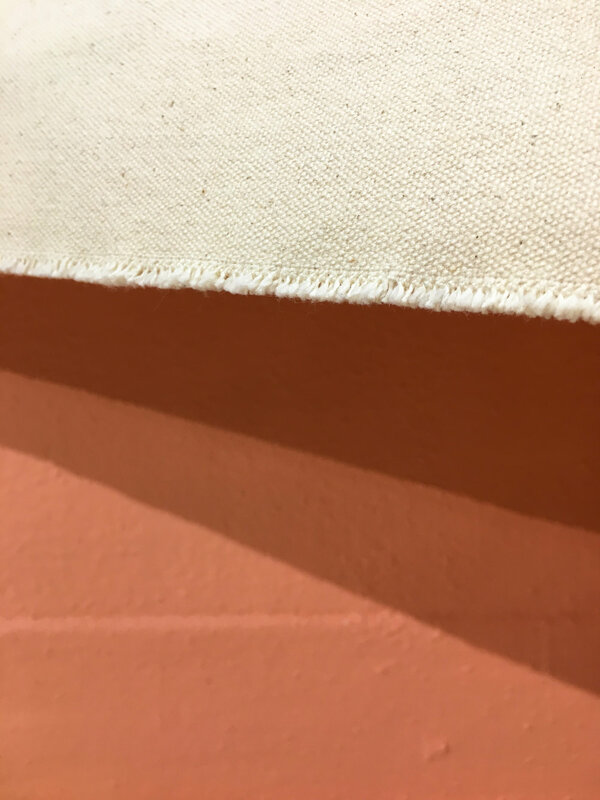 Raw canvas is unwoven, torn, or folded to create three-dimensional form. Paint remains absent from the canvas yet appears in the area around it, creating a new spatial identity. By transforming material and concept, new forms emerge as their apparent opposite. The two-dimensional becomes three-dimensional. The soft becomes hard. The part becomes the whole. The forgotten is given presence.